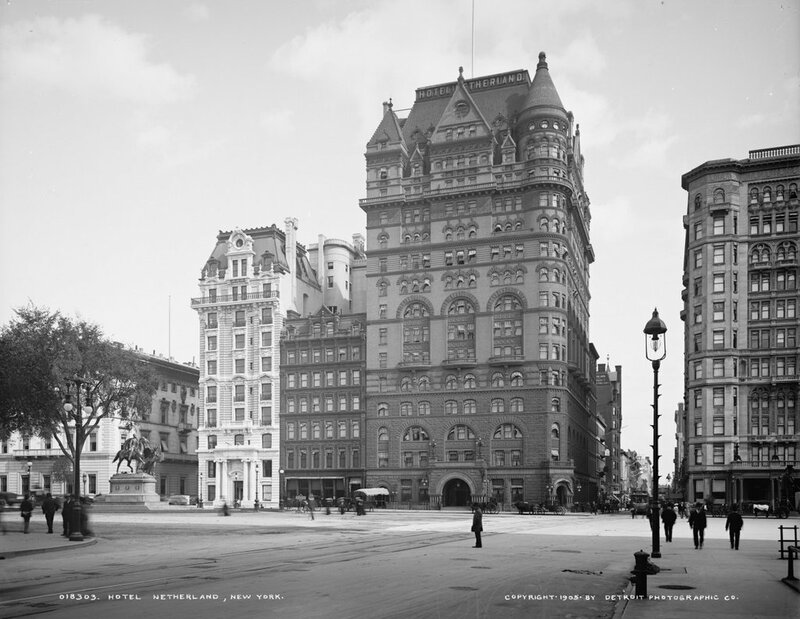 The Hotel New Netherland at the corner of Fifth Avenue and East 59th Street in New York, across the street from the southeast corner of Central Park, as seen around 1905. Image courtesy of the Library of Congress, Detroit Publishing Company. The tall building in the center of the first photo is the Hotel New Netherland. 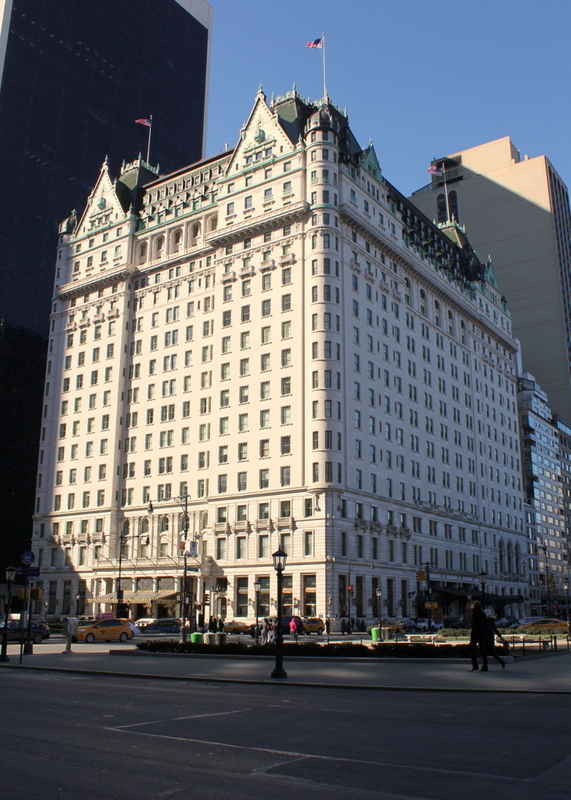 This luxurious hotel was built in 1893 for William Waldorf Astor, who, the same year, also built the Waldorf Hotel further south on Fifth Avenue. The Hotel New Netherland was one of the first steel-framed skyscrapers in the city, but while its structure was innovative, its Romanesque architecture soon fell out of fashion. 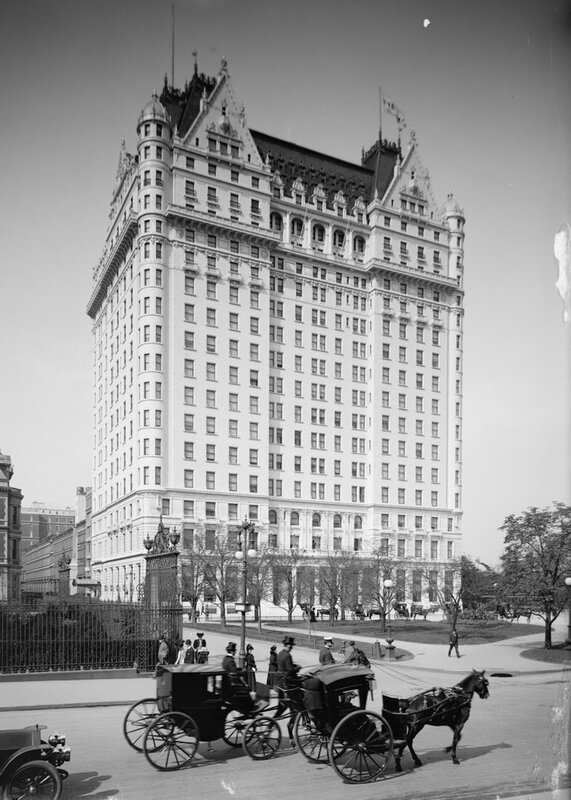 It was open for just 23 years before its demolition in 1926, and it was replaced by the 38-story Sherry-Netherland Hotel, which stands on the site today. 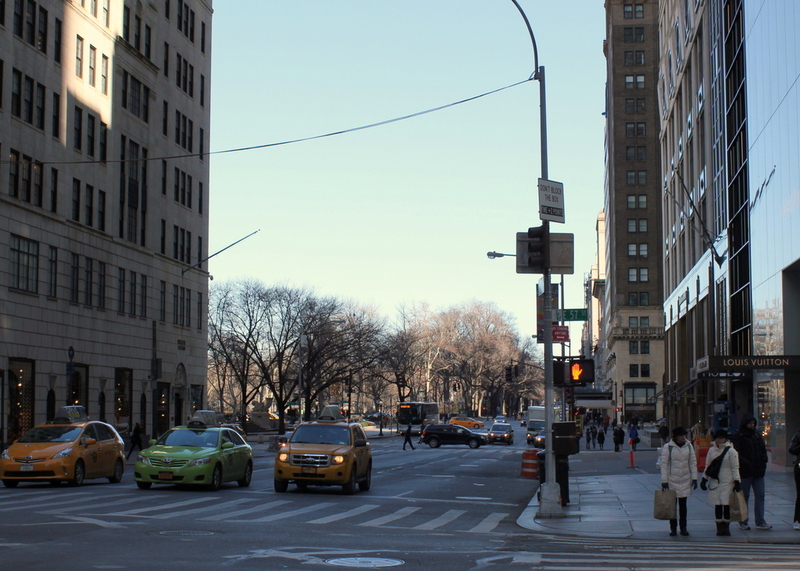 The other buildings to the left and right of the hotel are also gone, and today the only building remaining from the first photo is on the far left, at the corner of Fifth Avenue and East 60th Street. It was built in 1894 for the Metropolitan Club, which was a private social club founded by J.P. Morgan a few years earlier. Its early members included many other prominent New Yorkers, and today it remains an active club in the same building. The only other feature left from the first photo is the golden equestrian statue of General William T. Sherman, which was designed by sculptor Augustus Saint-Gaudens and installed here in Grand Army Plaza in 1903. 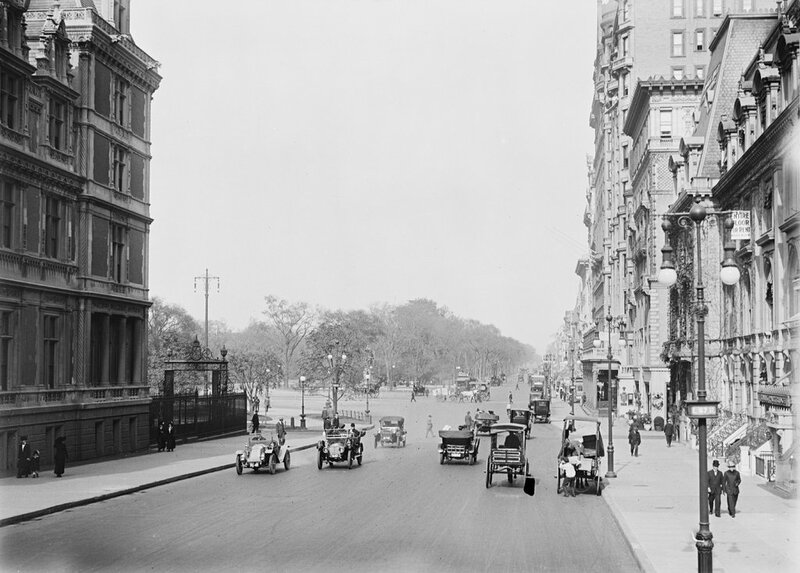 Looking north on Fifth Avenue from 57th Street in New York City, around 1910-1920. Image courtesy of the Library of Congress, Detroit Publishing Company Collection. These photos were taken just a block further up Fifth Avenue from the ones in the previous post, and they show Grand Avenue Plaza and the southeast corner of Central Park in the distance. 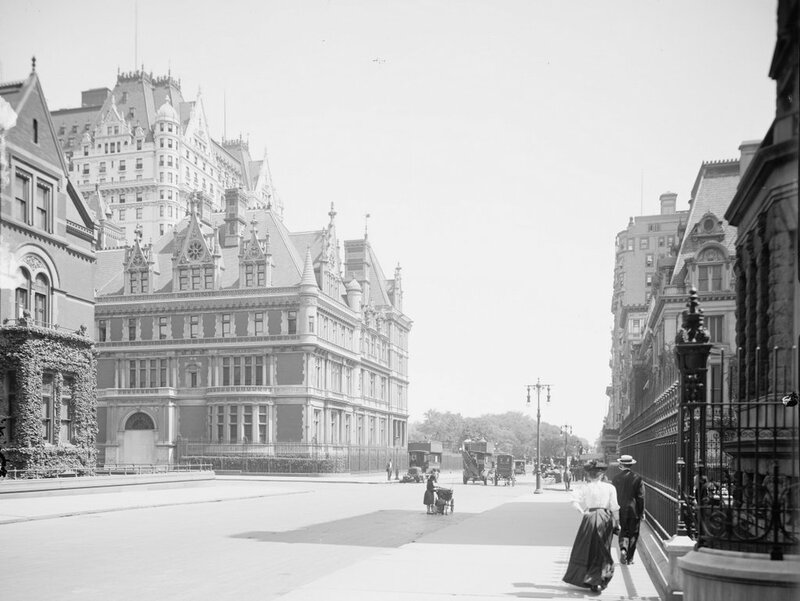 On the far left side of the first photo is part of the Cornelius Vanderbilt II House, which was demolished in 1926 to build the present-day Bergdorf Goodman building. The ornate wrought-iron gates, though, were preserved, and Vanderbilt’s daughter Gertrude later donated them to Central Park, where they now stand at the Conservatory Garden. None of the other buildings in the foreground are still standing, and the only object that has remained the same is the golden equestrian statue of General Sherman, barely visible from here in the center of the Plaza. 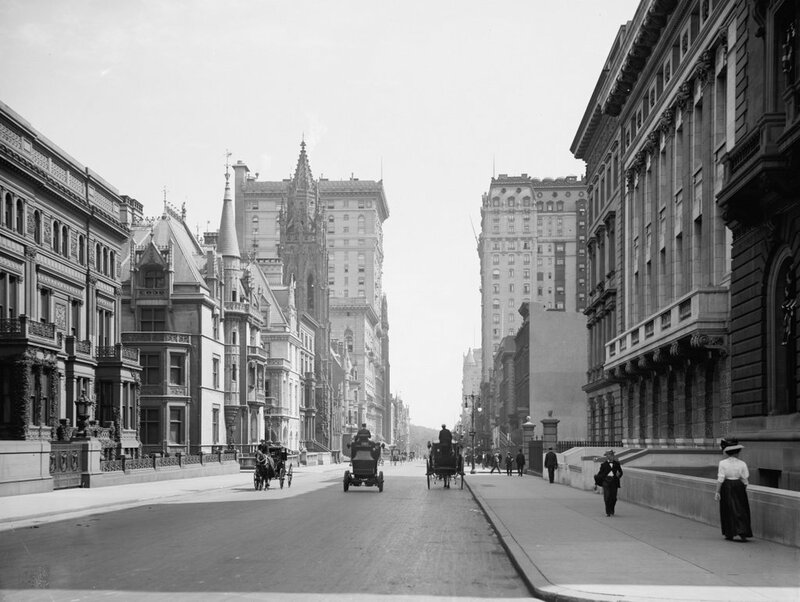 Looking north on Fifth Avenue from 56th Street, with the Cornelius Vanderbilt II House on the left side of the street, around 1907-1910. Image courtesy of the Library of Congress, Detroit Publishing Company Collection. As explained in an earlier post, this section of Fifth Avenue was once known as Vanderbilt Row because of the number of mansions that the family built here in the late 1800s. However, none of the other mansions rivaled that of Cornelius Vanderbilt II, who was the eldest son of William Henry Vanderbilt and the grandson of family patriarch Cornelius Vanderbilt. 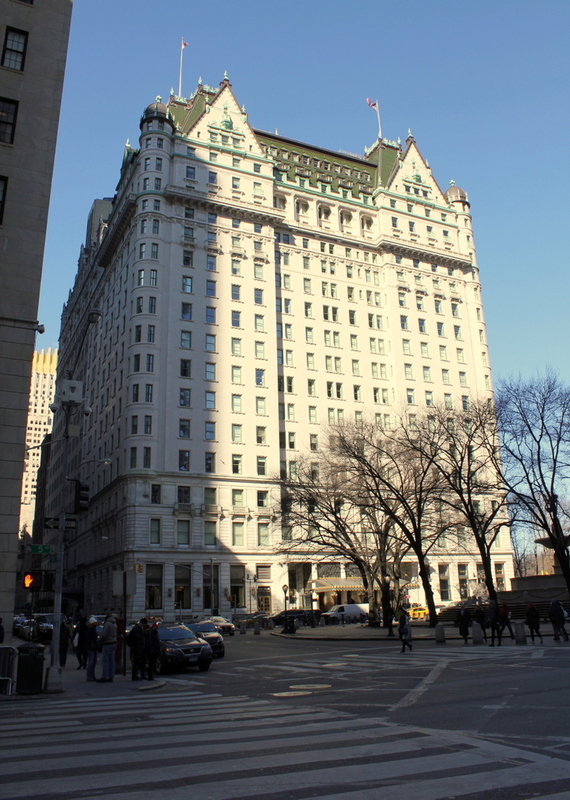 When his grandfather died in 1877, the younger Cornelius received a $5 million inheritance, and soon after he set to work building a lavish mansion here at the corner of Fifth Avenue and West 57th Street. When it was completed in 1883, the house consisted of just the section closest to West 57th Street, which is the side facing the camera. However, his father died two years later, leaving him in charge of the New York Central Railroad and giving him an inheritance of nearly $70 million, or close to $1.8 billion in today’s dollars. He put some of this money to use a few years later, when he decided to expand his house and ensure that no other mansion could rival it. The $3 million expansion was completed in 1893, giving the house 130 rooms and making it the largest private residence ever built in the city. Two years later, Vanderbilt’s other famous home, The Breakers, was completed. This 125,000 square foot summer “cottage” in Newport, Rhode Island cost over $7 million, but Vanderbilt had little time to enjoy either of his two new houses. He suffered a debilitating stroke in 1896, and he died of a cerebral hemorrhage in 1899 at the age of 55. His widow Alice continued to live here in this house until 1926, when she sold it to developers who demolished it and built the Bergdorf Goodman building that now stands there today. 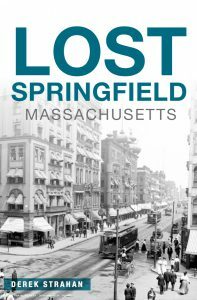 With the exception of the Plaza Hotel in the distance on the far left, none of the other buildings from the first photo are still standing. Like the Vanderbilt mansion, all of the other private homes here were demolished in the early 1900s, when this area was redeveloped into a major retail district. 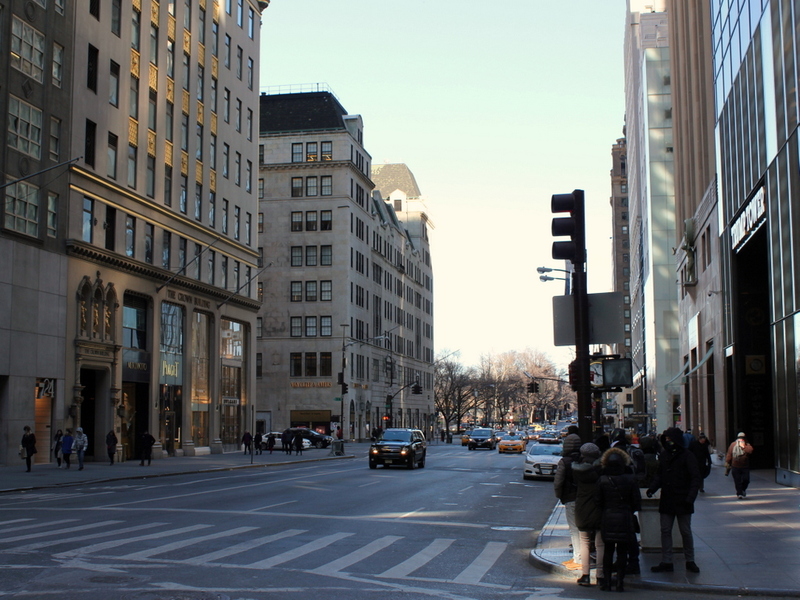 However, while the Vanderbilts no longer call Fifth Avenue their home, this area is certainly not devoid of millionaires. The building on the far right of the 2016 photo is the Trump Tower, the primary residence of Donald Trump, whose father was a young child living in nearby Queens when the first photo was taken. Another view looking north on Fifth Avenue from 51st Street, taken around 1908. Image courtesy of the Library of Congress, Detroit Publishing Company Collection. This view is very similar to the one in the previous post, just from a somewhat different angle. Here, it shows not just the Vanderbilt mansions on the left side, but also some of the important buildings to the right. When this photo was taken in 1908, the Gilded Age mansions of the Vanderbilt family were still standing, including the Triple Palace on the far left and William K. Vanderbilt’s Petit Chateau just beyond it. Both of these were built in the early 1880s, but in 1906 a matching house was built right next to the Petit Chateau. It is barely visible from this angle, and hard to distinguish from the original mansion, but it was the home of his son, William K. Vanderbilt II. The houses on the right side of the first photo were much newer, with the most obvious being the Marble Twins, which have the long second-floor balcony. Completed in 1905, these two townhouses were built for George Washington Vanderbilt II, who is probably best known for his Biltmore Estate in Asheville, North Carolina, which is still the largest private home in the country. Just beyond Vanderbilt’s two townhouses here, at the corner of 52nd Street, is the Morton F. Plant House. This was also completed in 1905, for railroad executive and businessman Morton Freeman Plant. 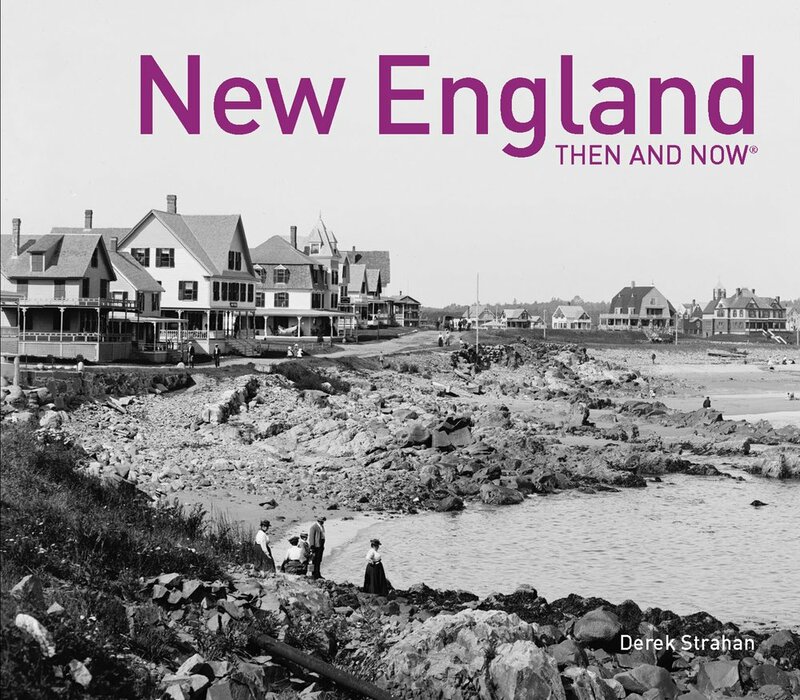 Although this area was home to some of the country’s wealthiest men at the time, the 1908 photo also shows some of the changes that were beginning to take place. In the distance, two large hotels loom over the mansions, reflecting a shift from residential to commercial development on Fifth Avenue. 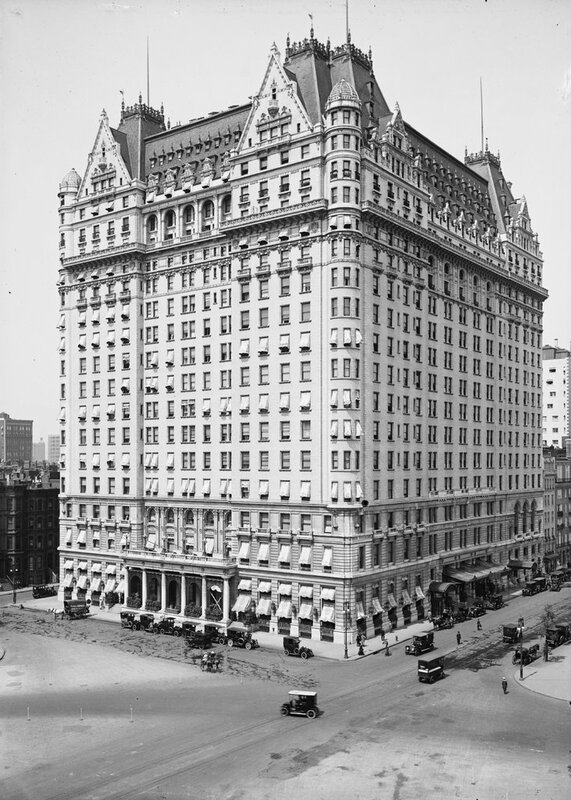 In 1904, John Jacob Astor IV opened the St. Regis Hotel on the right at the corner of 55th Street, and a year later the competing Gotham Hotel was built across from it. They were among the first of what would become a wave of hotels and retailers that would drastically change Fifth Avenue in the coming decades. Most of the mansions on Vanderbilt Row were gone by the end of the 1920s, including the ones on the left here in this scene. There are a couple of survivors on the right side, although they are mostly hidden from view because of renovations in the 2016 scene. The Plant House is still standing, and is now owned by Cartier, a French jewelry and watch company. Right next to it is one of the two Marble Twins, which is the only remaining Vanderbilt house in the scene. 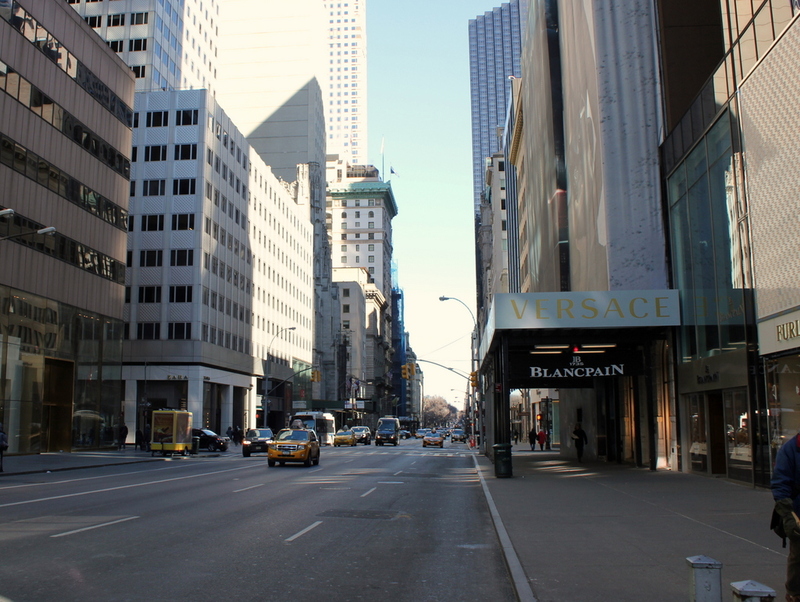 The twin on the right was demolished in 1945, but the one on the left remains, and is now a Versace flagship store. Today, despite all of the changes, there is a surprising number of buildings still standing from the first photo. 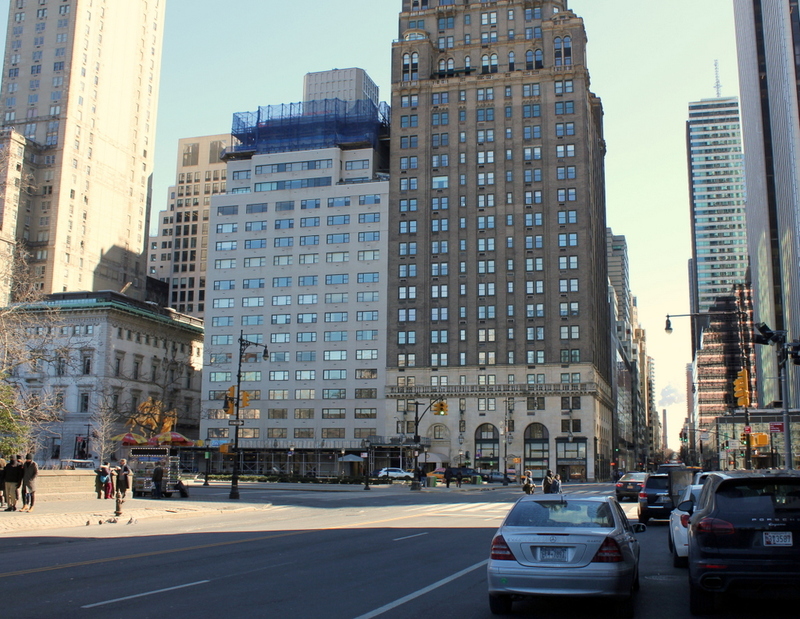 Aside from the houses on the right, other buildings include both the Gotham Hotel, which is now The Peninsula New York, and the St. Regis Hotel, which still operates under its original name. Right next to The Peninsula, at the corner of 54th Street, is the University Club of New York, a private social club whose building dates back to 1899. There are also two churches on the left side of the street: Saint Thomas Church closer to the camera, and Fifth Avenue Presbyterian Church in the distance, barely visible beyond The Peninsula. The present Saint Thomas Church was built a few years after the first photo was taken, but Fifth Avenue Presbyterian is still standing. It was built in 1875, so it predated the Vanderbilt mansions by a few years and it has outlived most of them by close to a century.